This sturdy cotton canvas cube is display-worthy in any living room, family room, laundry room, or closet. 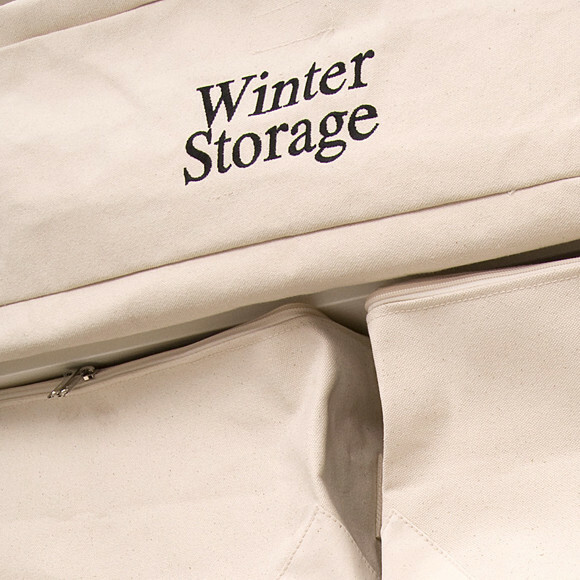 Place your items inside to keep them free of dust, moisture, and critters. Clear label holders allow quick and easy identification, while sturdy handles enable easy carrying.